Who doesn't love meatballs? This easy beef recipe packs plenty of flavor with abundant amounts of fresh parsley, garlic, and Parmesan cheese. The meatballs are baked until browned, then simmered with a savory tomato sauce. Since it's already seasoned, using purchased marinara sauce adds flavor and saves time. This kid-friendly dish is great for busy weeknights, as it comes together in under 45 minutes. Serve the tender meatballs with toasted, rustic sliced bread, over cooked spaghetti, or spooned on top of creamy polenta for a comforting dinner. 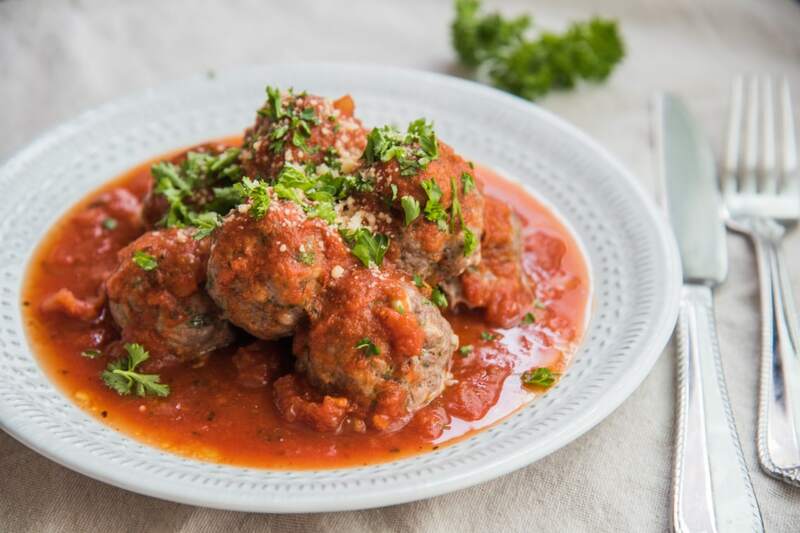 For tender, juicy meatballs, don't opt for extra-lean ground beef—a little bit of fat adds flavor and moisture. 85 to 90% lean would be ideal. For a healthier take, use ground turkey instead of beef. Alternatively, use half ground pork and half beef for a more authentic, Italian flavor. Per Serving: 403 calories; 25g fat; 5.9g carbohydrates; 37g protein; 159mg cholesterol; 568mg sodium. 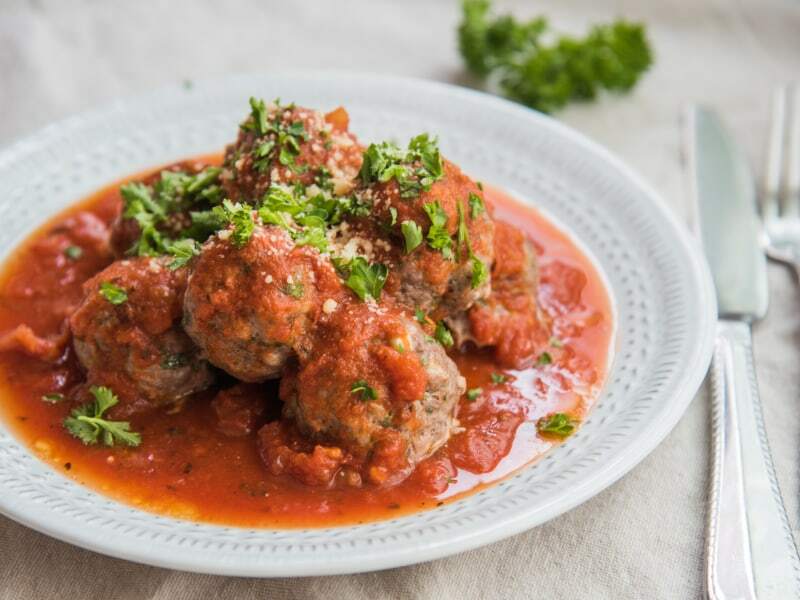 Meatballs are my kid's favorite, so this recipe is a definite winner! I was pleasantly surprised to see no breadcrumbs in this recipe (crumbs can sometimes be overwhelming as a filler). The Parmesan is just the right amount and everything binds well. Definitely opt for the 80/20 or 80/15 blends of ground beef to keep these juicy and delicious! These meatballs were so good! They're good in spaghetti or by themselves. I like to eat them with just a little sauce. My boys also loved these, so the next time I make them I'll probably double the batch.